Heartfelt’s newest release is the “Cherry Blossom Retreat” collection, featuring oh-so-pretty Cherry Blossoms, sweet little birds and a new 3D shaping mold, and we are SURE you are going to LOVE it! This release is available in the shoppe at 10am sharp Wednesday March 13th and we are celebrating with a release party! Join us for coffee & tea, treats and card making both Wednesday & Friday from 11:00am to 2:00pm, and Friday 6:00-8:00pm when we reveal the new collection, AND there are exclusive release party discounts too! Enjoy a different make & take both days, cost is $5 each, drop in and make one or both! 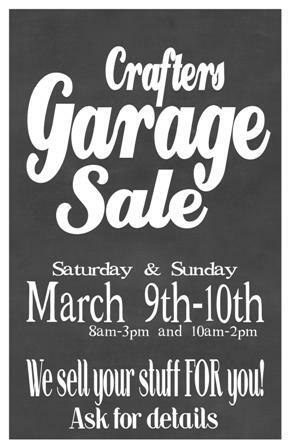 ~ Winter Garage Sale ~ NEW DATE! No table rental required!!! 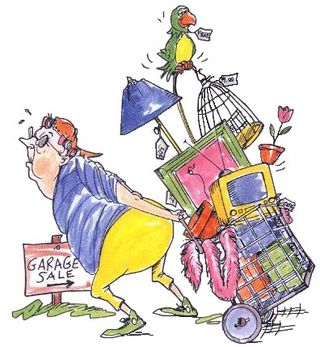 You don’t even have to be here to sell your stuff!!! Drop your items off between February 22nd & March 7th. We will put them out for sale on the 9th of March. How much easier could it be??!! Only tags purchased from Cherry Lane may be used. If you don’t use all your tags, save them for the next sale! Please come in to the shoppe to register & pick up your tags. If you can’t come in person, you may register over the phone & have your tags mailed to you. We hope you can participate & turn your old stash into NEW!! Click here for a printable info sheet! Heartfelt’s newest release is the “Burst of Spring” collection, featuring oh-so-lovely pansies and a new 3D shaping mold, and we are SURE you are going to LOVE it! This release is available in the shoppe at 10am sharp Wednesday February 13th and we are celebrating with a release party! Heartfelt’s NEW “Tulip Time” collections releases this week and this beautiful collection is certain to put a spring in your step and a song in your heart! You are going to LOVE it! The Tulip Time collections features it’s very own flower! Breezy tulip petals in varying diameters, along with coordinating dies and a customized Tulip Shaping Mold, will allow you to surround yourself with realistic replicas of the first flowers of spring! This release is available in the shoppe at 10am Thursday January 10th and we are celebrating with a release party! **not the usual Wednesday as our order took a slight detour! Join us for coffee & tea, treats and card making both Thursday & Friday from 11:00am to 2:00pm, and Friday 6:00-8:00pm when we reveal the new collection, AND there are exclusive release party discounts too! ** Enjoy a different make & take both days, cost is $5 each, drop in and make one or both! Heartfelt’s newest release features dainty petite flowers sized to perfectly accessorize your one of a kind fashion creations. You are going to LOVE it! This release is available in the shoppe at 10am sharp Wednesday December 12th and we are celebrating with a release party! Heartfelt’s newest release is a beautiful compliment to the last collection, join us as we remember simpler times with the old fashioned Patchwork Daisy Collection! You are going to LOVE it! This release is available in the shoppe at 10am sharp Wednesday November 14th and we are celebrating with a release party! 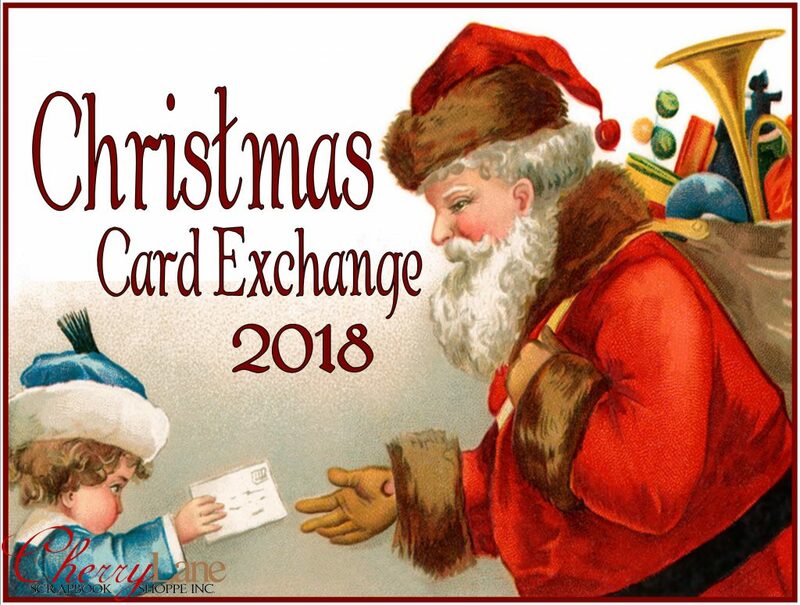 Cherry Lane’s 6th Annual Christmas Card Exchange! Calling all card makers! We know how much you love to make and give handmade cards, but you don’t always have time to make them. This is an excellent way to build up your stash and support our community at the same time! Envelopes and inner sentiments are not required. Our wonderful Cherry Lane team will divide the cards and bag them all… ready for you to pick up! Have fun making your cards and paying it forward to those less fortunate this Christmas! Come & Play! Heartfelt “Buttons & Blooms” Release Party! The NEW Heartfelt “Buttons & Blooms” collection is SEW much fun and you are going to LOVE it! Join us for our “Buttons & Blooms” Release Party! Wednesday October 10th and we are celebrating with a release party! when we reveal the new Buttons & Blooms collection! AND there are exclusive release party discounts too! Enjoy a different make & take each day, drop in and make one or both! come play and fall in love with Heartfelt Creations! ALL Heartfelt items (including the NEW) are 15% off now through Sunday, AND pre-paid catalog orders get 20% off! Come in during the release party hours* and you get 20% off all Heartfelt items, YES, that includes the NEW goodies AND you earn your rewards too! World Card Making Day Celebration! Join us in the shoppe Saturday October 6th as we kick off the holiday card making season with a day of fun & celebration! The fun is all for YOU, so mark your calendars and plan to be here! Awesome One Day Only Sales! Ah-mazing door prizes throughout the day, you gotta be here to win! It’s all for YOU, so join us & get the Christmas card making season started off with a bang! How Do You Get Tickets??? Get additional tickets by donation: $1 per ticket, 100% goes to the MS Society AND we MATCH this dollar for dollar! Come on out! 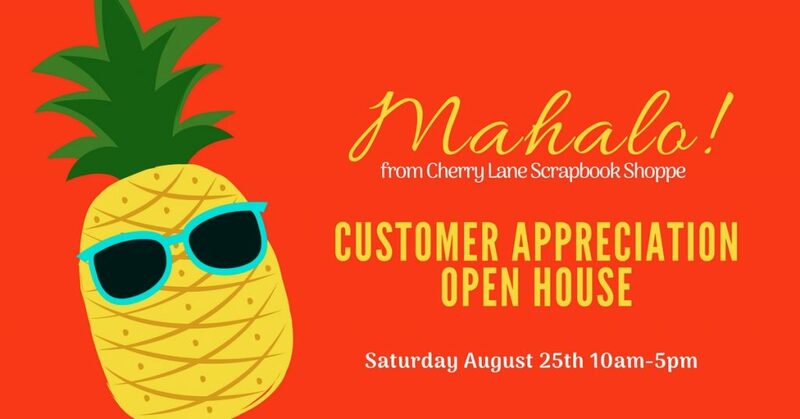 Join us at our 2nd Annual Customer Appreciation Open House, celebrating YOU, our favourite people & most wonderful customers! It’s NOT a party without YOU, so mark your calendars and plan to be here! And MORE! It’s all for YOU and it’s all FREE so come out so we can share some love! Be sure to click “going” on our Facebook event so that you get reminders, we would love to see you!